Valtteri Bottas believes that the regulation that now awards one championship point for the fastest lap could play a major role in the world championship fight this year. The Finn picked up the first fastest lap point of the year in Australia, doing so right at the end of the race as he drove to victory, 21 seconds ahead of teammate Lewis Hamilton. 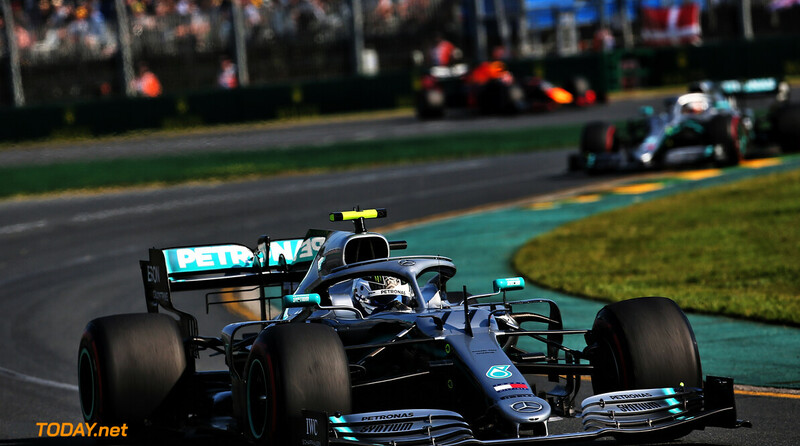 Mercedes walked away with 44 points from the weekend, while Bottas holds the lead in the drivers' championship for the first time. "It's a point and if you get three of those or more it's going to make a big difference at the end of the year," said Bottas. "You never know. One point can make a difference in the end. "For sure we're willing to risk, but knowing that if you're about to get 25, 18 points or 15, whatever, they are still more important than getting one extra. So you need to calculate the risk. "[The rest were] within a stop for an extra set of tyres for it, but with the worn tyres I went for a quick lap and it was worth it." Bottas' rivals backed up his claims, with Hamilton stating that “it’s 21 points so we’re going to fight for them." Red Bull's Max Verstappen agreed, but also added that it is important to bring home the more important points by finishing high up in the order. "There are 21 possible points you can get so it can help. But like Valtteri said, at the end of the day it's most important to score 25 or 18, 15, 10 [than to] try to go for one more and then it goes wrong. "In some situations like [in Australia], I was pushing anyway to try and get Lewis, so it happened that I was doing, at that time, the fastest lap. It's nice if it happens." Best innovation fir a while - but the real story begins in a couple' weeks time, revenue sharing and budget caps. I hope Brawn then turns to track design - if one of these three could be agreed in each of the best 3 years it would be a brilliant effort for Liberty. That's kinda what I worry about. I would've preferred it if it was something that could help out the mid teams, but it seems it'll be far more accessible to the tops.